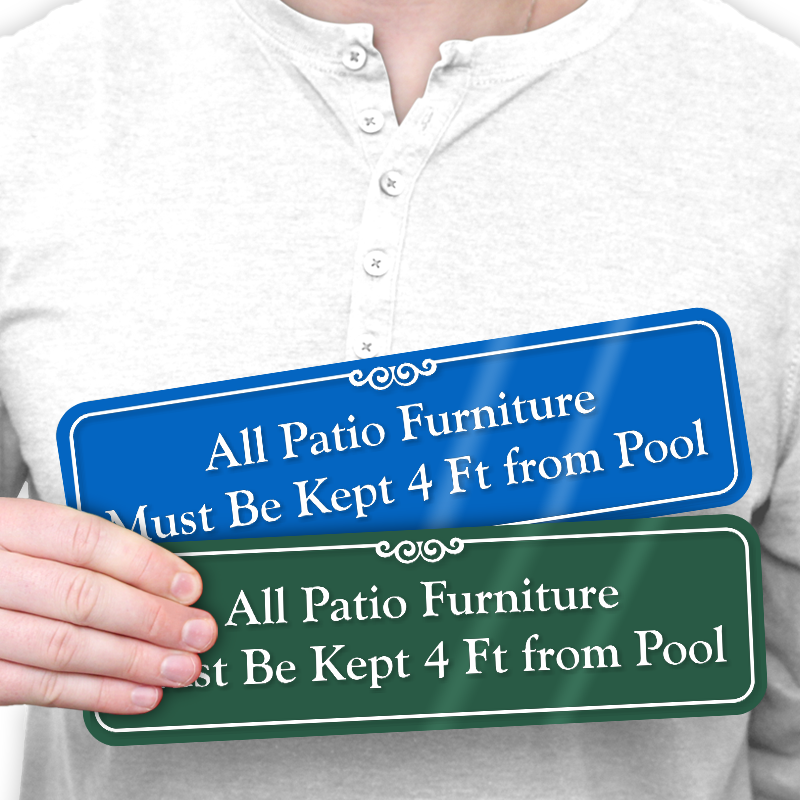 Water splashes can ruin your poolside furniture. 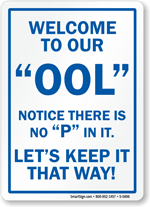 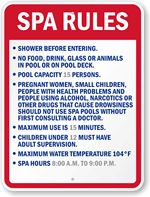 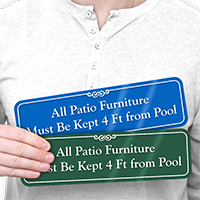 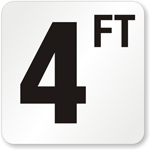 Use a Swimming Pool ShowCase Wall Sign to clearly inform everyone that all patio furniture must be kept 4 feet from the pool. 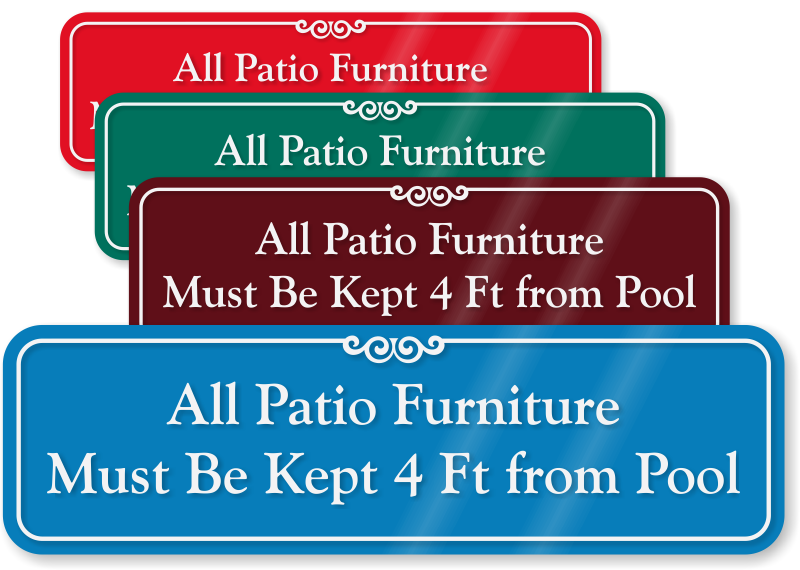 We offer a choice of elegant colors to complement your décor.